Our client is looking for HR Administrator to assist the HR Manager with all HR Administration for the Company, Employments contracts, updating of employee files, making ... appointments, booking interviews and all general HR Admin 1-3 years experience in HR Administration is a must, Diploma or certificate in HR. 64 new job listings for this search have been found in the last calendar day, compared with 80 in the last 72 hours and 146 in the last week. Companies presently offering Hr Administrator job opportunities in South Africa include Aspen Pharmacare, Core Group, Engineering Council of South Africa.. There are 604 Hr Administrator job opportunities in South Africa available immediately, compared to 241 in Gauteng. 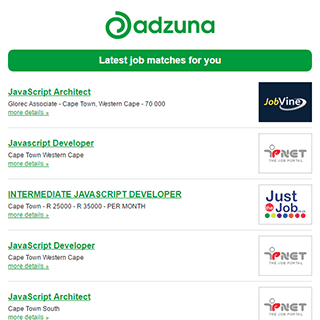 The Adzuna recency index score for this search is 1.28, suggesting that demand for Hr Administrator job opportunities in South Africa is increasing. The largest category under which open Hr Administrator jobs are listed is HR & Recruitment Jobs, followed by Admin Jobs. Get the latest Hr Administrator Jobs in South Africa delivered straight to your inbox!